This Weekly Collection features: World Environment Day in the fashion industry, eco-friendly tees and hoodies by Puma x ASOS and Target’s slow closure and restructuring. This year’s World Environment Day was Tuesday, June 5 and led with the theme: #beatplasticpollution. In line with the hashtag, members of the fashion industry are increasingly being expected to become aware of the industry’s overuse of plastic packaging and single-use plastic items. According to National Geographic, in some parts of the Indian Ocean, there are four billion plastic microfibers per square kilometre of deep sea. To top this off, 70 per cent of new clothes are made from synthetics, with polyester and nylon in clothing plastic derived from petroleum. These synthetic textiles shed plastic fibres during their making, wearing and washing. We don’t notice it in our day to day lives, but millions of these fibres (which are 60 to 100 times finer than your hair), escape through wastewater and as we move around. An alarming article by SBS showed that micro-plastics have been found in 83 percent of drinking water. Designers like Stella McCartney, Matt and Nat, Patagonia, Sister Studios and Well Made Clothes are leading the way in the realm of ethical and eco-friendly fashion, but much more work needs to be done. Puma and ASOS have now released sustainable basics. An eco-friendly menswear and womenswear range have been released – with basics that combine bright colours and soft pastels. Designs also include rainbow crew necks and 70s style tees. ASOS has recently committed to circular production in fashion under the Global Fashion Agenda, which requires a commitment to sustainability at each step from raw materials to the customer. All pieces are made in a factory with social and environmentally-certified health and safety system in place and with certified organic cotton. Also, all colours and prints are free from harmful chemicals. Shop the collection here http://www.asos.com/search/puma%20exclusive%20organic?q=puma+exclusive+organic. Target have announced that it will be begin to close down their stores over the next five years, with its 305 locations decreasing by 20 percent. After the brand’s $195 million loss in 2016, CEO Guy Russo began restructuring the department store. The brand’s plan is to slowly restructure and build into a mid-tier boutique retailer in an aim to compete with the likes of Zara, H&M and Uniqlo. Russo said to investors, “We’re not going to go after size any more, and we’ll just be a nice new boutique retailer that plays in mid-tier, and I’d like to make sure it’s a profitable mid-tier business”. Staff facing job losses could be moved to other Wesfarmers businesses such as Officeworks. Petite Grand create jewellery pieces that exude a quiet kind of luxury and are designed for everyday wear. 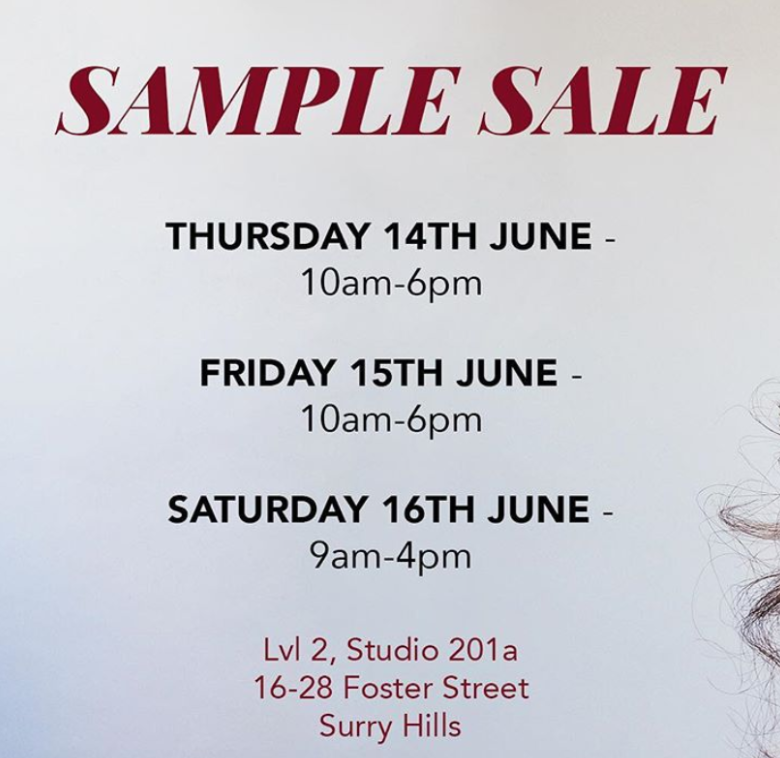 Shop the Petite Grand sample sale in Surry Hills this weekend.